GCL Wins a PAPA Award! 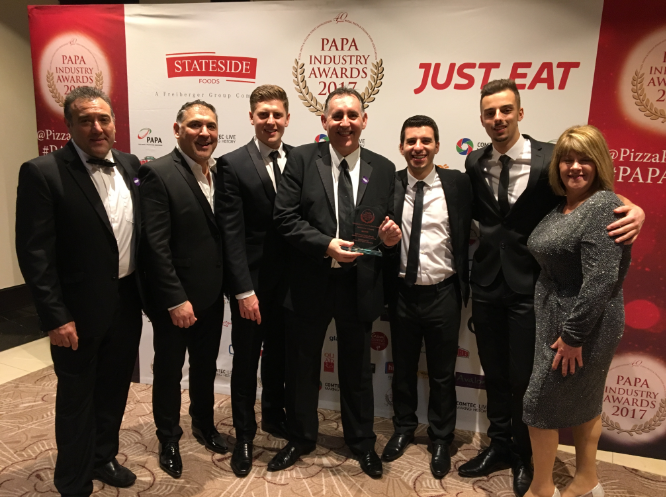 GCL is proud to announce that we have won the PAPA Award for 'Best New Foodservice Manufactured Product' for our Spinach Pasta - Spinach, Ricotta & Lemon Girasole. This win comes after a successful exhibition at the European Pizza and Pasta Show that took place at the Olympia London. We won the PAPA Award for our Spinach Pasta – Spinach, Ricotta & Lemon Girasole. We are very proud of the team as a lot of development work went into making the product the high standard that it is now. If you spoke to us at the exhibition and wish to sample our ‘award-winning’ pasta or any other of our fabulous products, please feel free to get in touch! Sharing is caring... share this post!